Arizona's mining towns are full of historic buildings built to last but they are showing signs of weathering a century later. 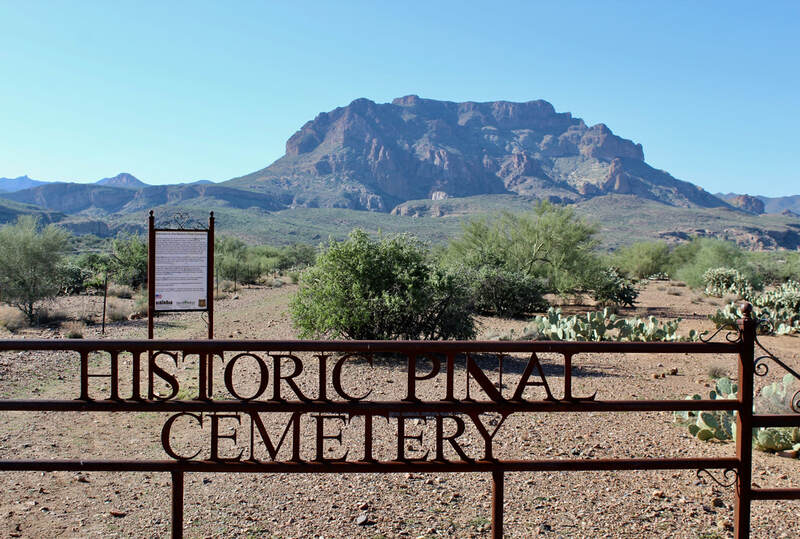 Superior, an hour east of Apache Junction on U.S. 60, is an example of mining towns that prospered on and off for nearly a century starting in the late 1800s. But Superior has endured hard times since the mines closed two decades ago. ​ A soldier who worked on the road found some nuggets in 1873 in the area that turned out to be native silver. That indirectly led to exploration of the Silver King Mine two years later and attracted other mining interests to what would be beomce Superior, he said. The Magma Copper Co. mines in Superior operated from 1911 to 1996 and produced 27.6 million tons of ore, including 34 million ounces of silver, 686,000 ounces of gold and 1.29 million short tons of copper, according to Briggs. ​Superior has since worked to save its historic downtown buildings An effort to restore the Magma Hotel has been underway for several years. Superior also has a town museum in the former home of Bob Jones, Arizona's sixth governor. The Magma Copper smelter site has been razed and its 300-foot smelter stack -- a town landmark -- was imploded Nov. 10, 2018. .
A hard-scrabble cemetery is the final resting place for Mattie Earp, a prostitute who was Wyatt Earp's common-law wife. Resolution Copper, which owns the site, is cleaning up the contaminated debris and plans to reseed the property in the spring. In the town, there aren't many shops open but the throw-back streetscapes here are worth a detour off the main highway. ​On my list is a hike on Picket Post Mountain and a visit to the nearby Boyce Thompson Arboretum. Also, an historic cemetery west of Superior is the final resting place of Celia Blaylock, aka Mattie Earp, common-law wife of Tombstone lawman Wyatt Earp. Griffee's Market at 79 Main Street sold groceries and meat but the building sits vacant and its ghost signs are fading. Central Bakery is no longer in business. A breezeway adjacent to La Mina bar. La Mina bar anchors the eastern end of Main Street in Superior in a fortress of a building that no doubt has a lot of stories to tell. Macpherson's Magma Hotel has been under renovation for several years but has not yet opened its doors. It opened around 1912.